How to apply for the Return-to-Work Supplement program? Seek legal advice of our best workers’ compensation attorneys in California, who would help you fill out all the required fields of the application. Contact the Koszdin, Fields, Sherry & Katz law firm to get a free consultation today. Home > Blog > What Is The Return-to-Work Supplement Program, And How To Apply? On behalf of Koszdin, Fields, Sherry & Katz posted in Workers Compensation on Friday, April 27, 2018. Many people in Los Angeles and elsewhere in California may not know this, but there is actually a program that allows injured workers to get a one-time $5,000 return-to-work payment after a workplace injury. The program is called the Return-to-Work Supplement Program (RTWSP), which is administrated by the Department of Industrial Relations. Since many workers in California have no idea what the program is all about and how to apply for it, we brought our Los Angeles workers’ compensation attorney from the Koszdin, Fields, Sherry & Katz law firm to explain. Who is eligible for the Return-to-Work Supplement program? The Return-to-Work Supplement Program, which was introduced by the U.S. government back in 2015, serves one purpose: to provide financial aid to workers who suffered a disproportionate loss of income as a result of their on-the-job injury. That financial aid comes in a one-time lump sum of $5,000. Not bad, huh? Here is the deal, though: not everyone is eligible for the RTWSP. Our Los Angeles workers’ compensation lawyer explains that only those who were injured on or after January 1, 2013, may be eligible for the one-time, return-to-work supplement to help them get back on their feet. However, it is not that simple. In order to be eligible for the Return-to-Work Supplement, you must have a Supplemental Job Displacement Benefit (SJDB) voucher for that injury. That voucher may be difficult to obtain, which is why it is highly advised to seek legal advice of an experienced lawyer. How to apply for the Return-to-Work Supplement program? If you do have a RTWSP voucher on your hands and you are wondering how to get the coveted $5,000 supplemental benefit, you must apply for the program within one year of the date the voucher was signed and delivered to you, or within one year from April 13, 2015, the day the program came into effect, whichever comes later. Before applying for the RTWSP, you might want to consult with a Los Angeles workers’ compensation attorney who would help you fill out all the required fields of the application. 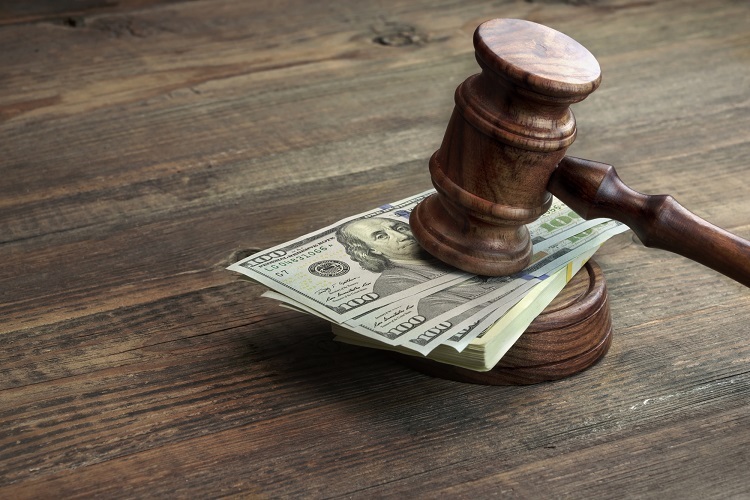 If your application is approved, you will receive a one-time $5,000 supplemental benefit to compensate for the significant loss of earnings suffered as a result of your workplace injury. What information do you need in order to apply? If you have a SJDB voucher and would like to apply for the program, you are probably wondering what information you will be required to provide in order to complete the application. When will you get your $5,000? After you have submitted your application to the system, the RTWSP will have to review your application within 60 days of your filing. If your application is approved, your supplement payment will be sent to you within 25 days from the date you received a letter notifying you that you were deemed eligible for the program. If you are deemed ineligible for the supplemental benefit or need any assistance with getting a SJDB voucher or applying for the program, seek legal advice of our best workers’ compensation attorneys in California. Contact the Koszdin, Fields, Sherry & Katz law firm to get a free consultation today. Call at 818-812-5639 or (toll free) 800-747-3447 or complete this contact form.